Technology is one thing that is increasingly surprising many human beings. The iPhone is a good example of the extent of technology in the modern world. This is a type of communicational gadget that has in-built computerized features that allow it to carry out some tasks by obeying the commands of the users. This task is specifically performed by a feature known as Siri. 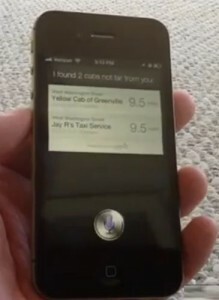 The introduction of this option has created a stir with most consumers trying to learn how to use Siri on iPhones. This feature is simply amazing. It adheres to voice commands to carry out the intended tasks. You can ask it questions and it will automatically respond according to the question. A good example is the weather conditions. You might decide to ask it if you need an umbrella and its in-built intelligence will be able to judge that you are concerned with the weather therefore giving the right answer. If you have an iPhone, then the following steps should be followed to learn the procedures of using Siri. To open this program, long press the HOME tab. But interestingly, you may decide to place the iPhone close to your ears as if you were calling someone. The program will be activated automatically. When the previous option is used, go to Settings-General-Siri to activate the Raise to Speak option. When this program has been launched, you can ask the question of your choice. This makes it easy for the program to respond suitably. When you are done with issuing the verbal command, this program will automatically detect and implement it. Sometimes Siri will give you funny answer if you asking funny siri questions. After you are done with the messaging command, this software will draft the mail or text that should be sent. But before it is relayed to the recipients, you will be required to confirm the draft message or email to make sure that you want it sent as it is. When you are satisfied with the SMS or email, you can simply say Send and the message will be submitted automatically. You also have the freedom to press the SEND option and the message will be delivered on time. You do not have to keep dialing different numbers on your phone to call people. All you need to do is to command the iPhone and Siri will respond suitably. You can tell it to call a particular person and the response will be executed quickly. If you have a habit of forgetting things quickly, then you should not be worried. When you Use Siri on iPhone,it can remind you of the important tasks that you should do. For example, you can tell it to remind you to pick your kids from school at a specific time and it will do that exactly and promptly. It is important to learn how to use Siri if you wish to reap the benefits of this software. It also gives directions. For example, you might be interested in shopping. You just have to ask it where you can get the nearest shopping outlets and malls. You can also ask about the direction to a specific place when you lose your way.